By default, when you activate this option, the sails equiped are automatically selected. 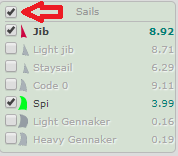 You can manually select sails your boat is not equiped with, and you can also unselect sails you have on board. 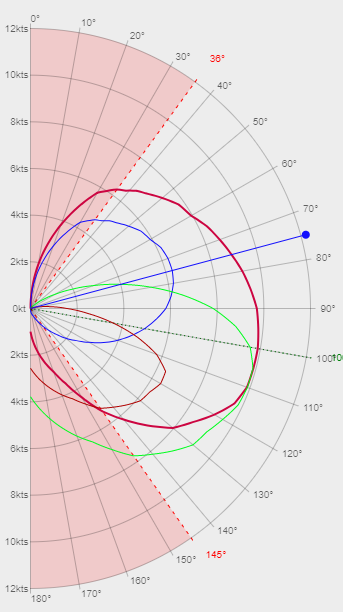 When this option is active, then the best sail (among those subscribed only) for the current TWA is set to bold, so you can spot the "currently best that your boat can do" on the chart. Hi. Useful new feature.Thanx. Great Work. Great improvement, once again ! !